Beyond Les Rencontres Internationales, screenings are curated at the invitation of museums, art centres, art schools, movie theatres and festivals, in order to reach different audiences and contribute to a wider dissemination of the works. 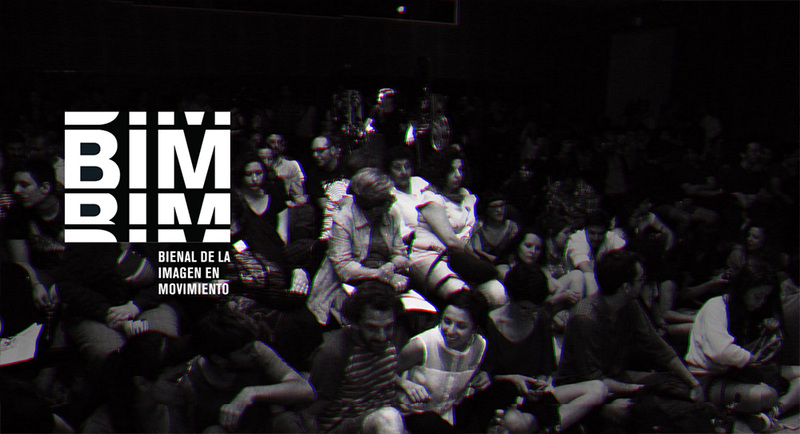 The BIM Bienal de la Imagen en Movimiento in Buenos Aires invites the Rencontres Internationales Paris/Berlin to curate and present two screening sessions representative of its programme and of contemporary practices of moving image. For this screening session, we wanted to examine the idea of plural anthropologies through contemporary artists’ creations, and to explore, alongside them, the potential of the moving image to deconstruct our relationship with what is seen or shown and thereby reinvent our relationship with the acts and traces of what makes us human. In this way, we seek to question approaches and assumptions related to the moving image. Often, visual anthropology centres on the mark left by the colonisations of the previous century and the systems of reference through which significant elements of non-Western civilizations were apprehended and transmitted. But it is also a matter of a more universal question: that of the spectator’s gaze and the possibility of capturing what is real. In the case of João Vieira Torres and Tanawi Xucuru Kariri, it is a question of an invisible ritual for the uninitiated. Instead of merely situating us in the visual realm of this ritual and making us believe in the possibility of objectifying it through images, these two artists generate the conditions of an inner questioning, and force us to face an immeasurable question: what is the inner experience of the other? Iván Argote, in turn, uses a strategy of symbolic confrontation, communicating in a register of sly activism. We see a clash between two bodies: that of the artist, who films himself against the petrified mass of a statue of Christopher Columbus, the figure of a history that sealed the destiny of a whole continent, which he then attempts to set fire to. His body in action, the trembling image and the hesitation of the flames indicate the possibility of a perspective that actively questions the world and suddenly causes it to waver as it rests on its seeming solidity, supposed certainties and imposed truths. Ana Vaz makes a film poem revolving around a world of signs, which, through repetition, function like so many other remains-fetishes of a colonial past: fiestas, exotic birds, power and class relations, etc. Marco Godoy’s video intervention also plays with a displacement of signs and contexts, those of an Eduardo Galeano poem broadcast over loudspeakers in the middle of the Bolivian jungle, thus producing the allegory of a place prior to the exploitation and dominance of a corrupt civilization, or resistant to its advance. No definitive answer is given here; there remains only an oscillation between the marks of the past - those of memory and of objects - and the paradoxical desire for a questioning that is at once existential, political and aesthetic. The six pieces featured in this screening session confront the history of the twentieth century with notions of place and non-place. Each in its own way - whether through its structure, its development or its form - examines the fragmentation of this period stricken by war, ideological violence and the arbitrariness of power. Something unresolved, or not resolved, remains, and cannot be reduced to the discourse, decisions or slow sedimentation of history: the traces of the unthinkable, whether it is the representation of power, the expression of the arbitrary or its consequences. What remains of this history are placid fragments, dispersed in reality, that the moving image questions, examines, and brings together. Dig Shiwei’s animation appears as a disenchanted confirmation of the failure of a utopic society, a surreal transposition of the nihilism of the twentieth century and of the violence exerted in the name of grand principles. The incarnations of arbitrariness succeed one another in history. Hayoun Kwon takes us to a propaganda village in North Korea, with the appearance of a city, that functions as a mechanism of fiction. The video multiplies the written registers, so to speak, to go against the current of ideological fiction and make access to reality possible once again. The artist goes so far as to exhibit the very device that produced the propagandist images, an analogue process that places the spectator at the necessary critical distance to take apart or understand a representation. Micael Espinha uses archive material consisting of photos taken during Salazar’s dictatorship in Portugal. The work is developed as an exploration of material frozen in time. The moving images update the empty spaces and the deserted architectures, which are then presented as so many settings and scenes of past events that are indifferent to a reflection on history in the present. In Jasmina Cibic’s film, the question of history is put forward through architecture. The dialogue between the four characters in the film, made up of fragments of real speeches by politicians, architects, dictators and theoreticians, underlines the ambiguity of all discourse on the substitution of buildings and the representation of power. The two last films have a special place in the screening session. They show an attempt to find sufficient elements within the present to imagine and broach the unthinkable. Bettina Nürnberg and Dirk Peuker film the area around Ebensee in Austria where, immediately after the end of the Second World War, a housing estate was built on the same site as a Nazi concentration camp. The film examines the ambiguity of its proximity to the commemorative site, and questions the discourse on the history connected to the place. Finally, Anthony Haughey returns to the scene of the Srebrenica massacre, where in 1995 over eight thousand men and boys were murdered, the worst massacre in Europe since the end of the Second World War. The film explores the ideological and political narratives that have shaped this history up to the present. The panning shots of empty sites where the massacre occurred, and the specific temporality of the story of the survivors, produces an accumulation of clues and evidence of what remains unresolved and inconceivable.